2017 is the third consecutive year that LG reports that its top of the line phone is not selling well. 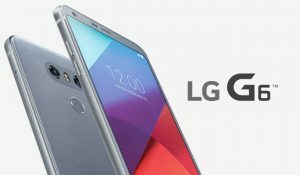 This year LG places the blame on “weaker than expected premium smartphone sales and increase in component costs.” Last year, the G5 was to blame for a “weak quarter” and in 2015 the G4 sales “fell short of expectations.” All attempts by LG to break into the premium smartphone market are failing. As a company, LG is doing okay and does not rely on smartphone sales. The company has three divisions: Home Entertainment, Home Appliances, and Automotive components that are all doing well. In fact, LG has never made a profit on its smartphones and still hasn’t given up. LG saw Samsung as its primary competitor and built the G6 to beat the S8 to the market. It was the decision to use the year-old Qualcomm Snapdragon 821 processor, that was the downfall of the G6. By going for an older processor, LG thought it has a three week lead over the S8, however, by the time the phone was available in the US, Samsung was accepting pre-orders for the S8. Most reviews say that the S8 is just a better-built version of the G6. By trying to beat the S8 to market, LG sacrificed using the latest processor, ending up with a phone that cost as much as the S8 but was a generation behind in CPU. 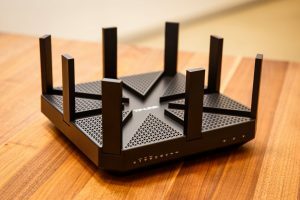 Do not be fooled by routers and other devices with several large antennas protruding from all sides. None of those make any difference to the signal strength of the device. Look at the technical specifications and see how many antennas are inside the device. Usually, three or more high gain antennas are what we want in a wireless device. Most vendors ship their devices with their OS. The problem with vendor specific software is that they rarely update them. Some vendors use open source operating systems like DD-WRT or OPEN-WRT. Such operating systems are feature rich and are maintained by the community. When it comes to routers, we want more than just internet connectivity and wireless. Features that most families find useful will include parental controls, bandwidth controls, device specific blocks and even a mini-firewall. More is not always better, but look out for features that you will find useful. Lastly, look at the build quality of the device. Cheap plastic construction will not last long and eventually become brittle over time. A good sturdy router will likely have quality components inside, which should last well beyond the warranty period. The smart home and internet of things are the only things anyone can talk about these days. 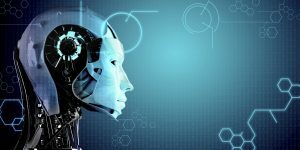 The tech press believes that it is going to be the future when in fact you can already have a fully connected home today. Although it is not a cheap conversion, it is now more affordable than a few years ago and can be started for a few hundred dollars. Smart home devices can also be used for security. The primary devices used here, in addition to a hub would be door and windows sensors, proximity sensors and lights. All doors and windows can have sensors that can trigger alarms. There are even sirens that can be connected and triggered. Proximity sensors can trigger external lights on motion and cameras. Another use case is night time safety. Proximity sensors in corridors can be set to switch lights on when activated at night. The same goes for a trip the toilet at night, open the door and the lights will come automatically. These same sensors can also switch the lights off after a period of inactivity. The final and most attractive use case is for a fully connected future home experience. The lights come on when you are close by. The air conditioning comes on at specific temperatures close to when you will enter the house. Too cold? The heater comes and keeps the house at a nice toasty temperature. This and so much more is possible with today’s technology. In a mostly Windows environment, PowerShell is a powerful scripting language that will allow most common tasks. There are modules that add support for Active Directory, Windows Server Backup, DHCP, DNS, and almost every service provided by Microsoft. The version of PowerShell varies depending on the version of Windows, although upgrades are available for older systems. Python is a popular programming language among systems administrators. There are courses specific to systems and network automation, which will teach you what you need specifically for those environments. Many systems have built-in API’s (application programming interfaces). You can use these API’s to extract data from the system without any human intervention. This way you can combine data from several systems to produce reports or dashboards. 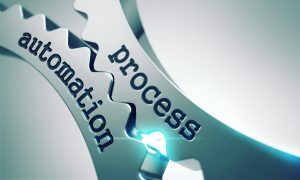 These are the two most common languages used when it comes to automating systems tasks. It is even possible to combine both. When set on a schedule, it is as simple as setting and forgetting, freeing up time for other more important tasks.